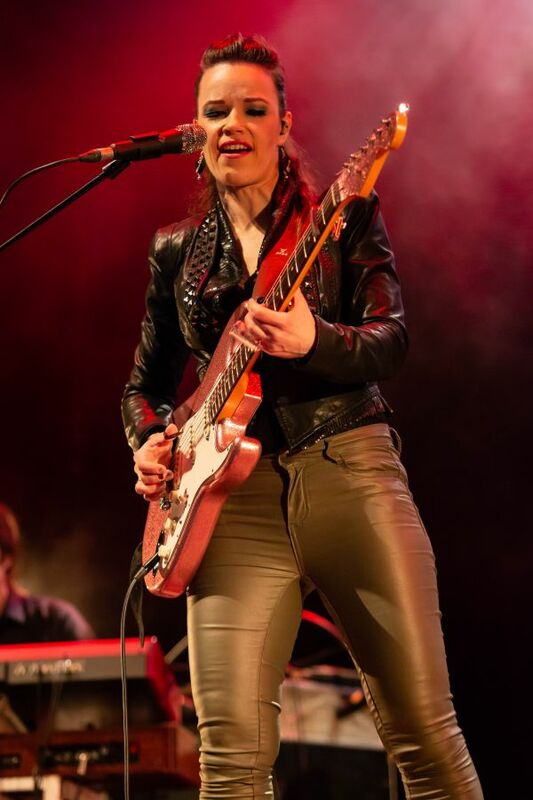 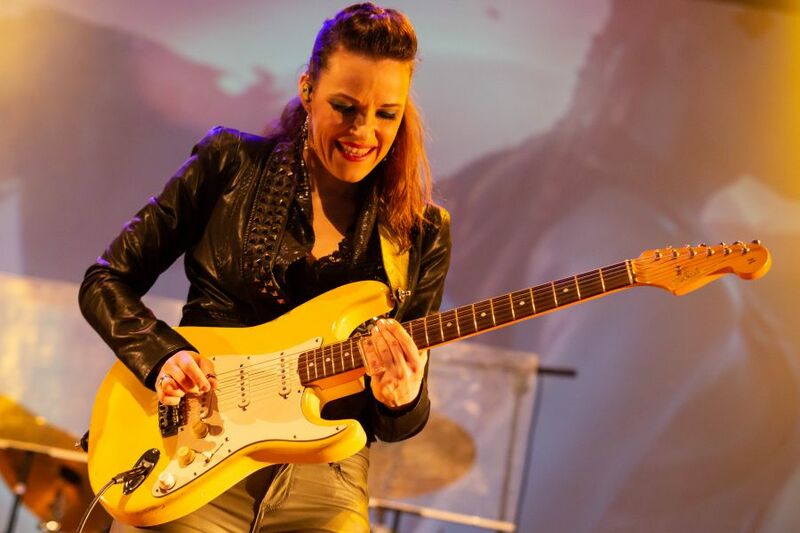 The ‘Queen of the Slide Guitar’ Erja Lyytinen concludes a successful UK tour at Artrix in Bromsgrove. 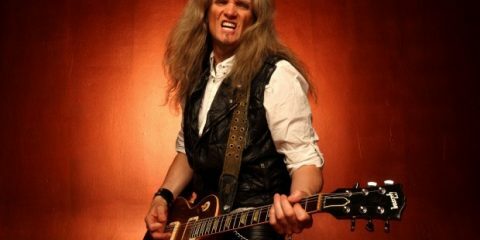 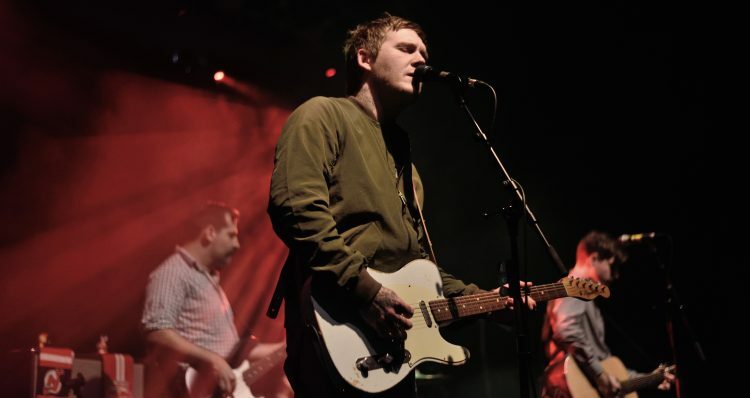 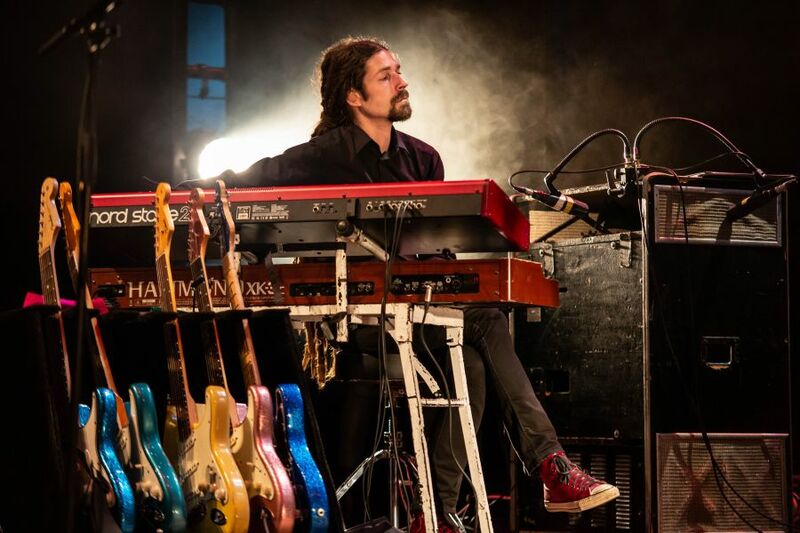 The Scandinavian guitar virtuoso has been touring the UK relentlessly over the last two weeks, performing an impressive 12 shows in 13 days. 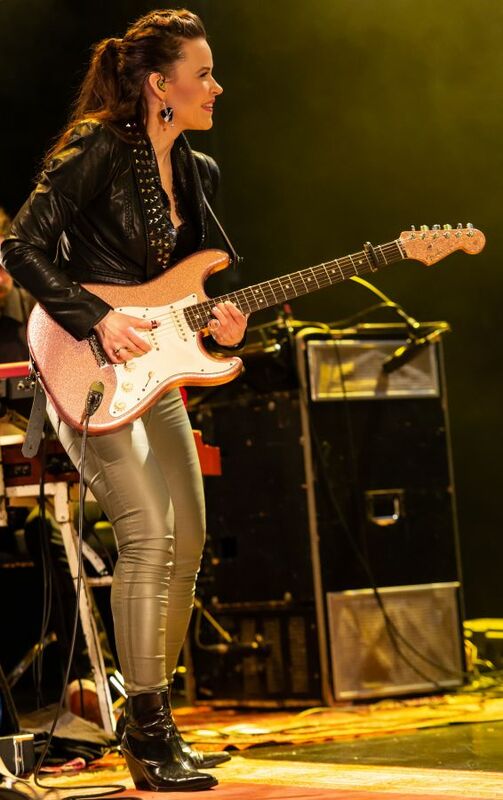 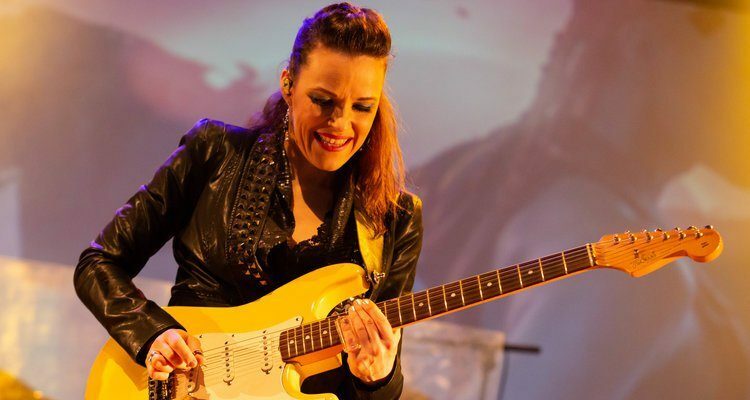 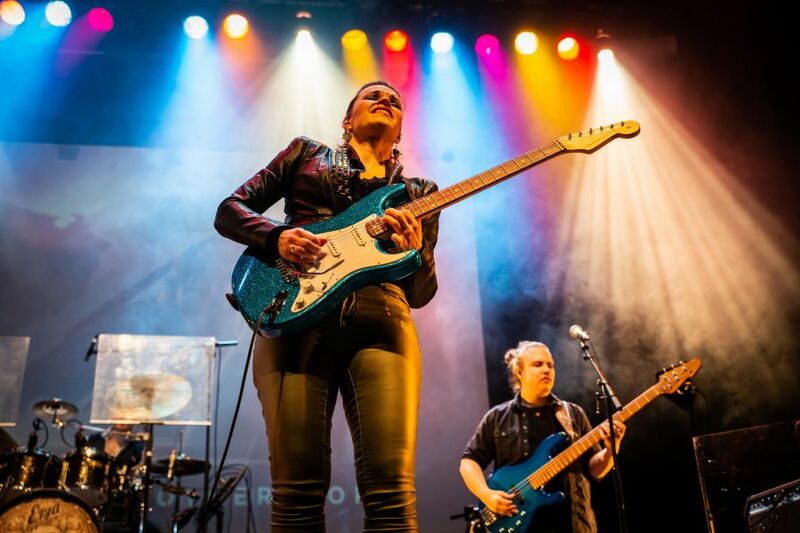 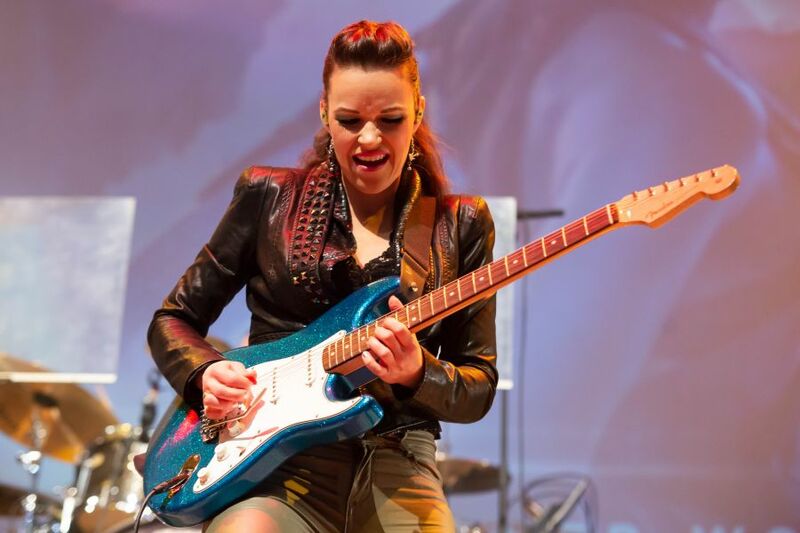 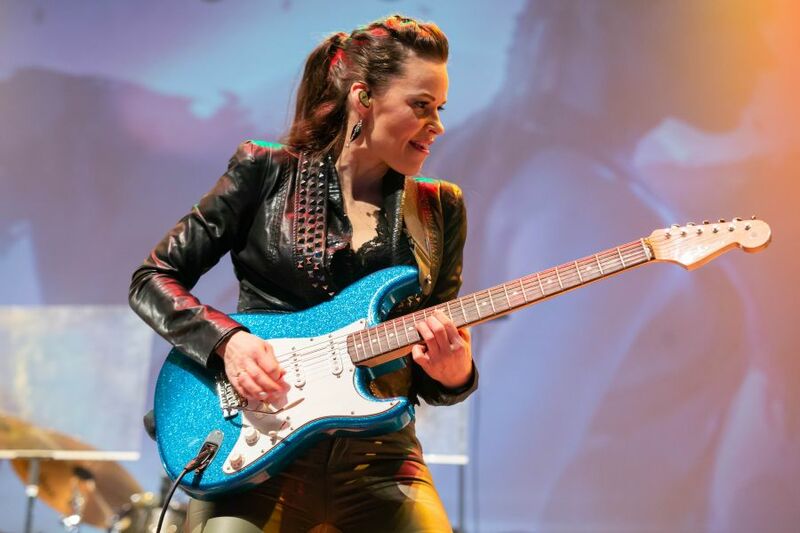 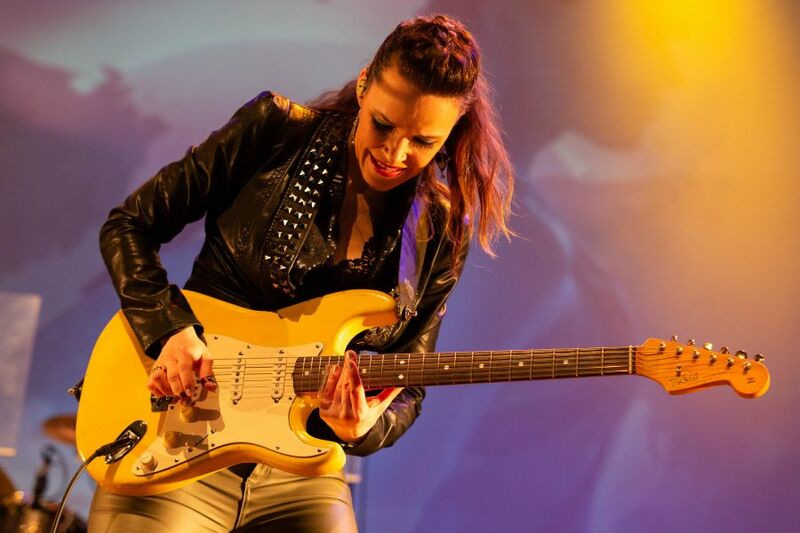 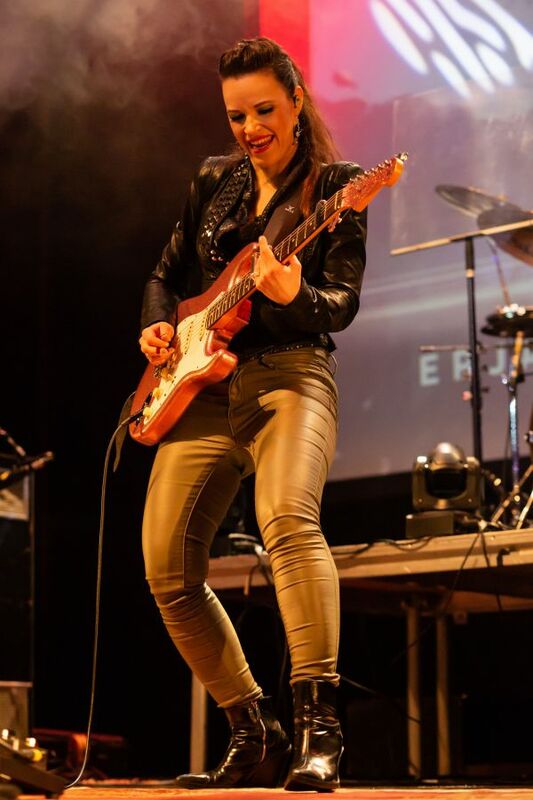 Erja Lyytinen’s relentless work ethic has seen the high flying Finn performing in the region of 130 shows throughout 2018 including high profile dates with the likes of Carlos Santana and Focus whilst simultaneously writing and recording her forthcoming studio album Another World. 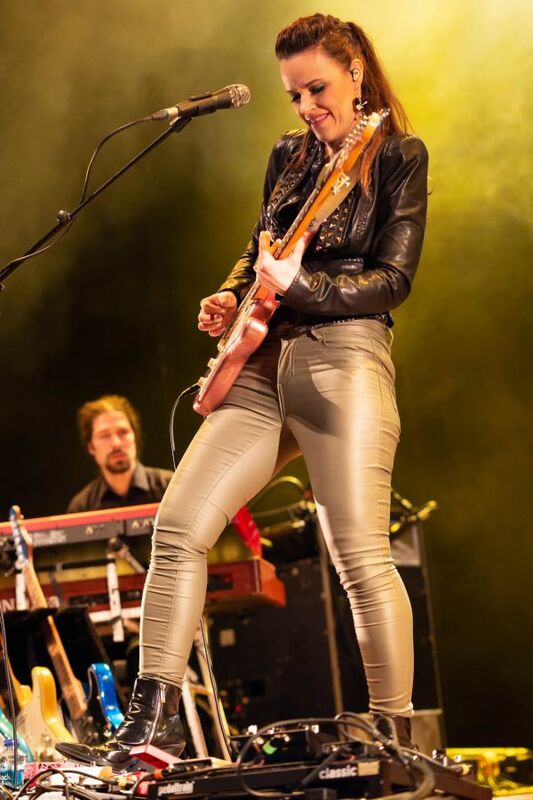 An impressive twelve months to say the least. 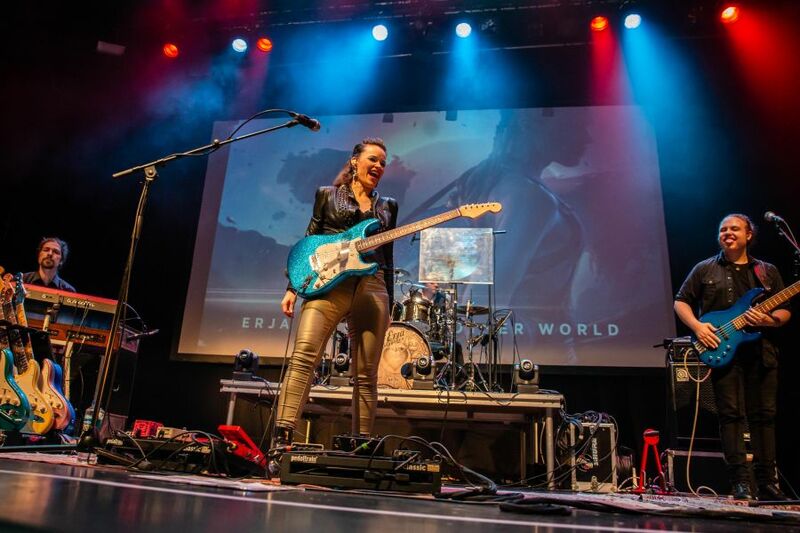 Hot off the back of a recent Canadian tour, Erja returns to the UK as the momentum builds towards the UK release of Another World on the 26th April. 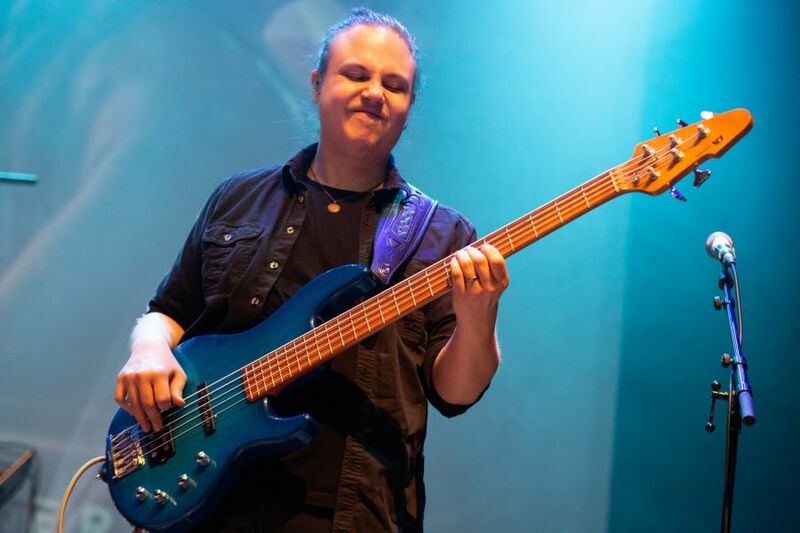 Following a date in Birmingham two days ago, tonight’s show in Bromsgrove marks Lyytinen’s second date in the Midlands area this week. 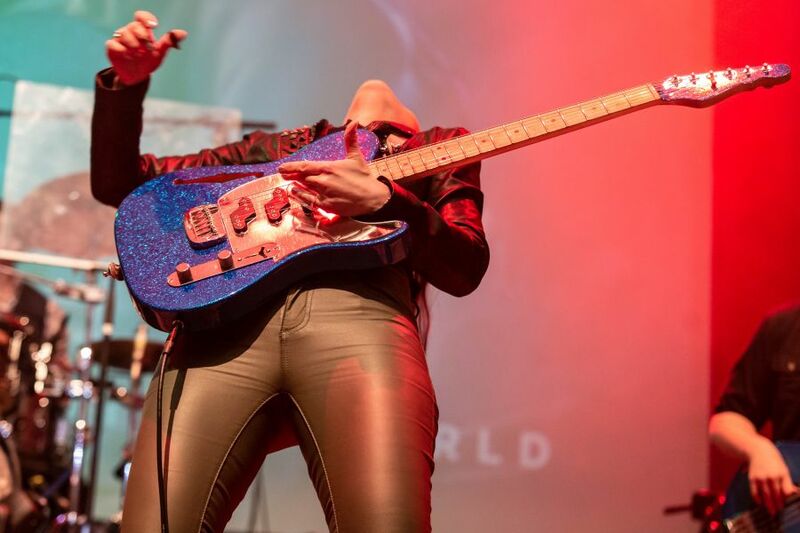 To add to the spectacle of the event, this show also marks the final night of Erja’s current UK run and she intends to go out with a bang. 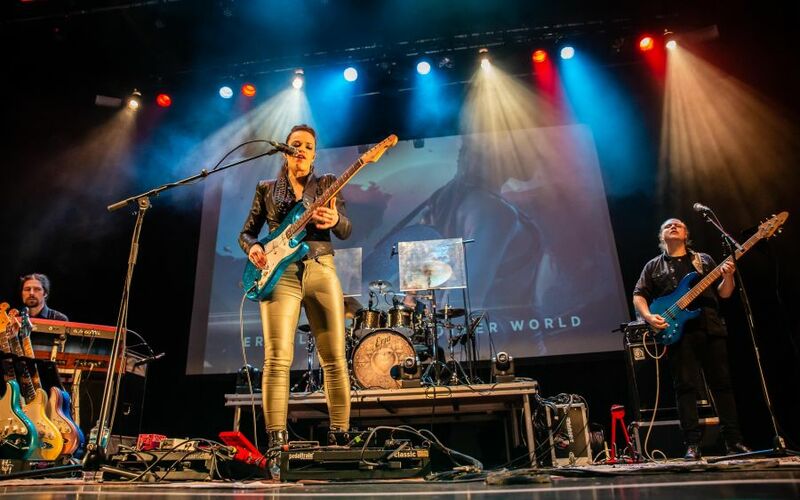 The stunning album artwork to Another World is projected onto the rear wall of the venue, which in turn sets the tone for the night ahead. 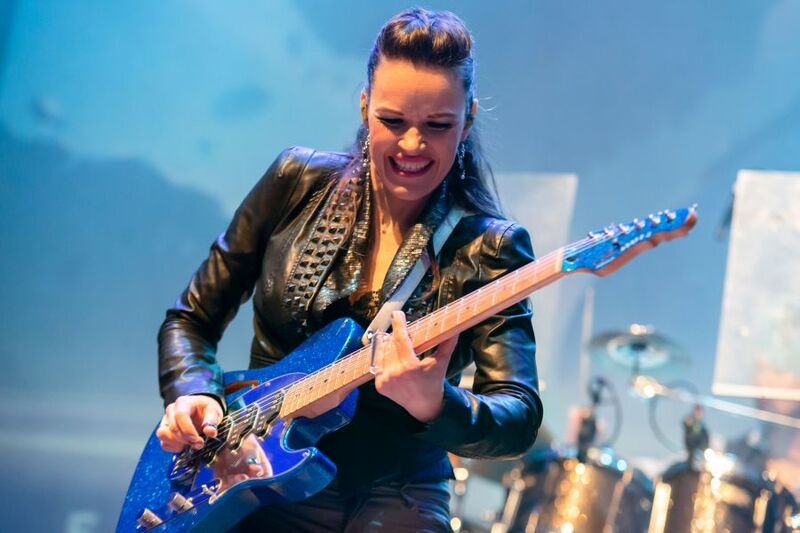 With the exception of two previously released singles, the former European Guitarist of the Year has largely been keeping her freshest material under wraps – that is until now. 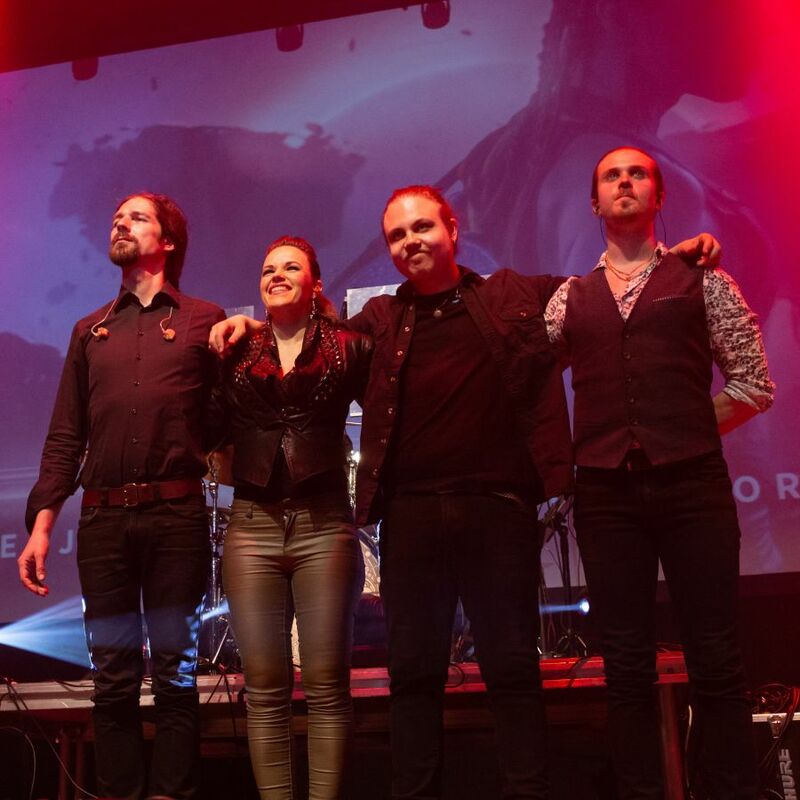 This evening, Lyytinen gives the Bromsgrove crowd a taste of what is to come when the record gets its full release at the end of the month, and it does not disappoint. 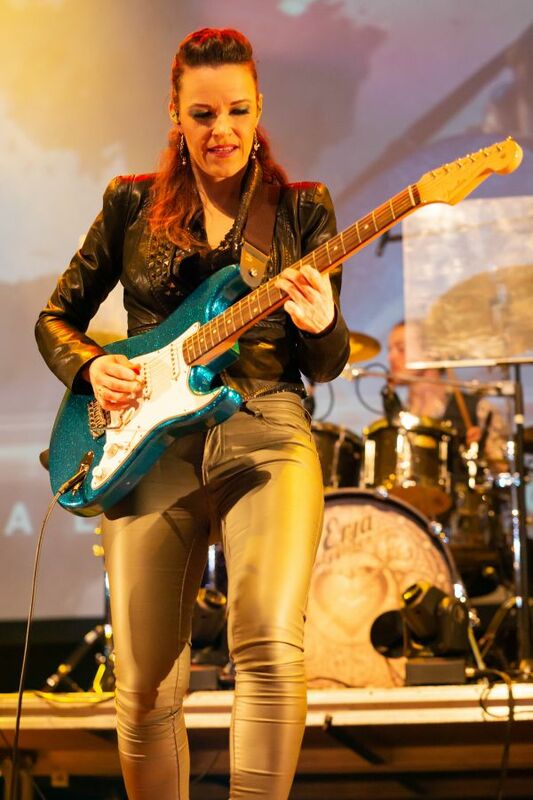 Erja Lyytinen whets the crowd’s appetite for her forthcoming release with the inclusion of the infectious and sassy “Snake In The Grass”, the beautiful and somewhat emotive “Heart of Stone”, a foot-stomping airing of “Wedding Day” and the stupendous “Cherry Overdrive”. 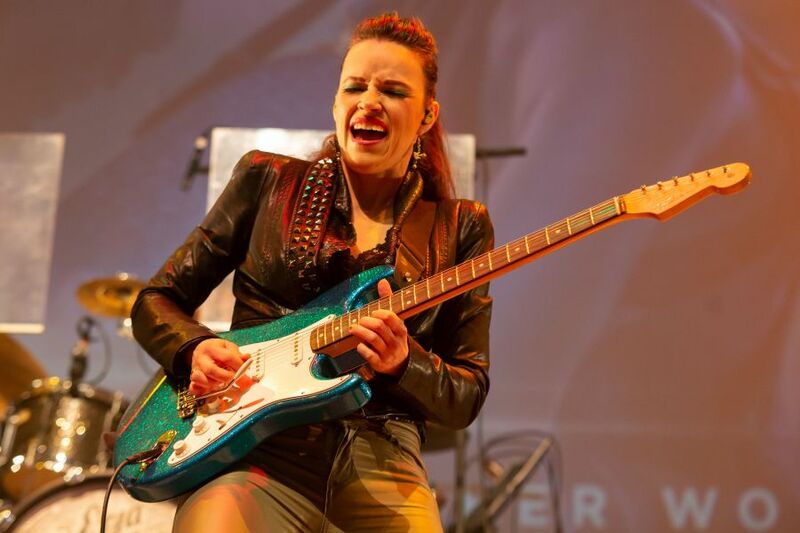 Erja’s spellbinding guitar solo during the latter being simply out of this world. 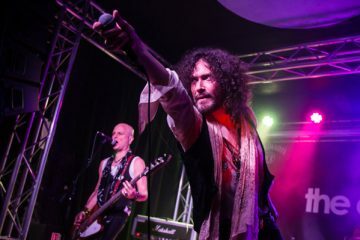 It goes without saying that the Bromsgrove audience is transported to blues-rock heaven. 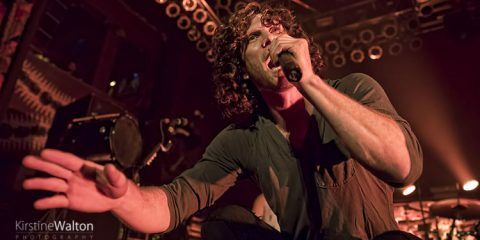 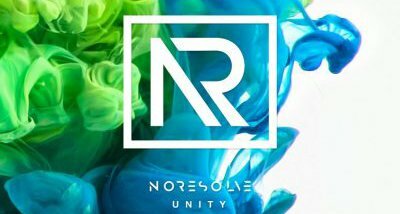 Tonight, five of the nine tracks on Another World are included in the set. 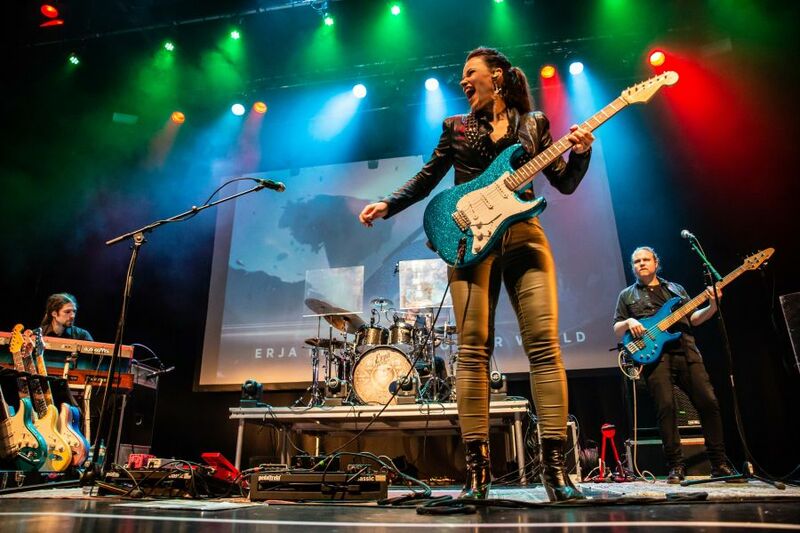 With each of these songs Erja has really elevated herself as both a songwriter and an artist and has truly pushed the boundaries of her musicianship whilst exploring areas above and beyond the traditional blues arena. 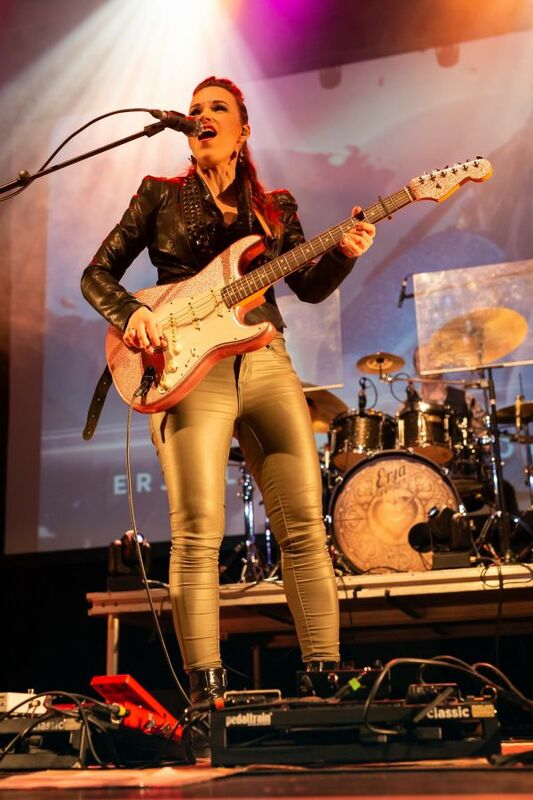  The context and subjects within these tracks are also some of the most personal Erja has written about. 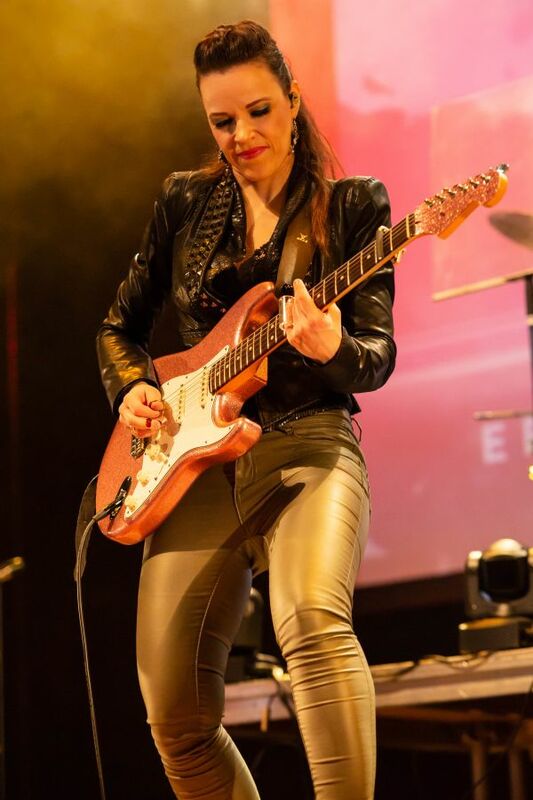 You can’t help but be drawn into the stories and lyrics of each of these amazing compositions, and of course, Erja sinks her heart and soul into her passionate performance. 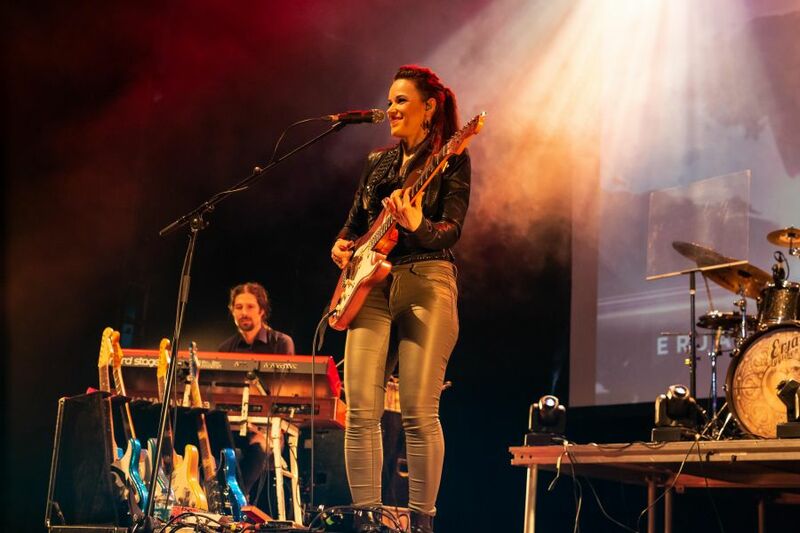 Despite the emphasis on Erja’s latest offering, there is also room for plenty old favourites from the Stolen Hearts album including the groove-heavy “Black Ocean”, a smouldering rendition of “Slowly Burning” and the fiery yet funky set opener “Lover’s Novels”. 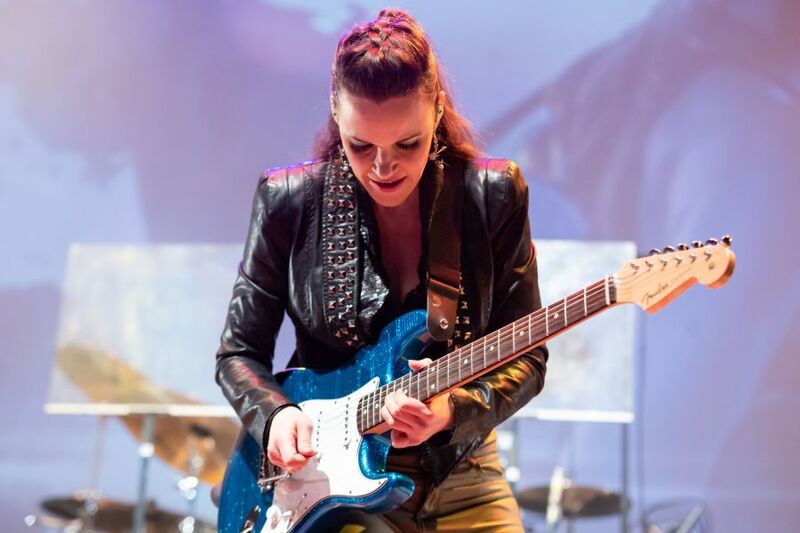 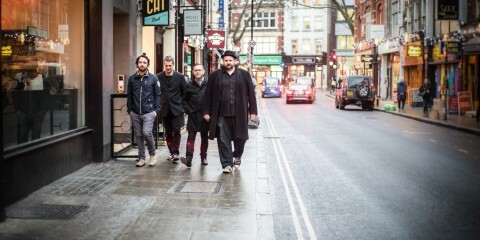 Towards the latter stages of the show, Lyytinen schools Bromsgrove in the Blues with a crowd-pleasing medley of numbers that traverses artists from the full spectrum of the genre including Mississippi John Hurt and Muddy Waters, to name but a few. 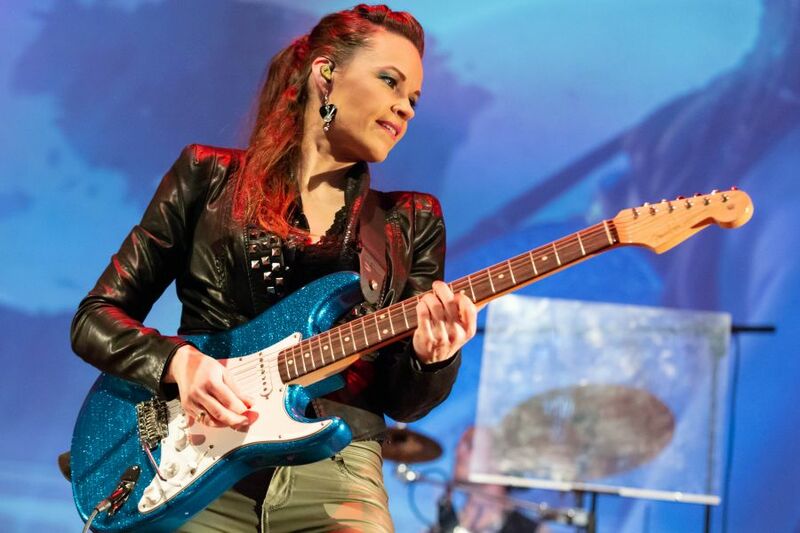 On the strength of tonight’s show, it’s fair to say that Erja Lyytinen is in the form of her life right now. 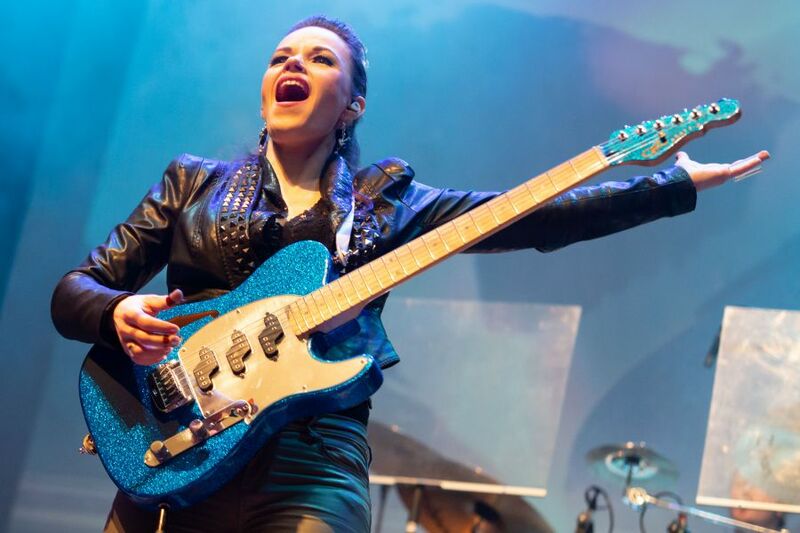 The end result is that after tonight’s show, the crowd are left feeling anything but ‘blue’. 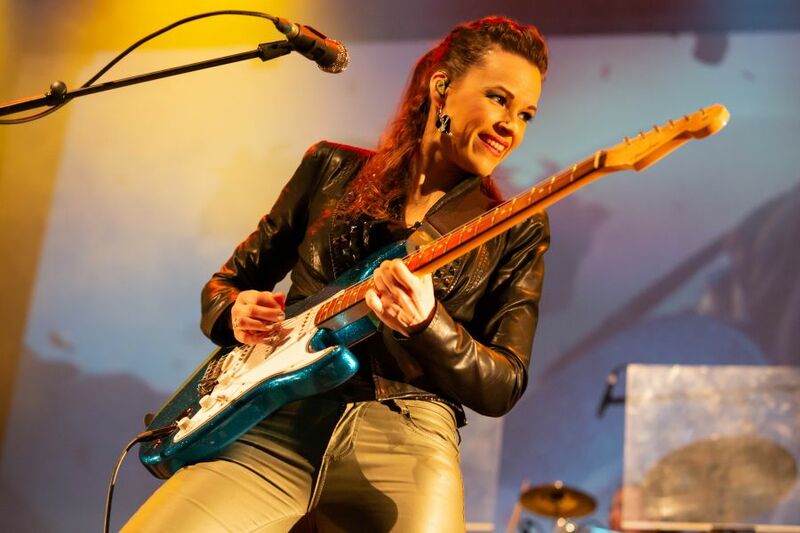 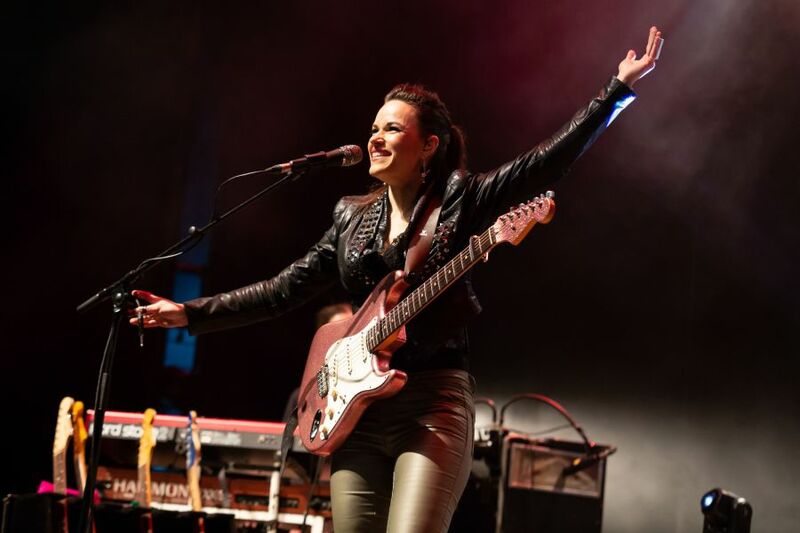 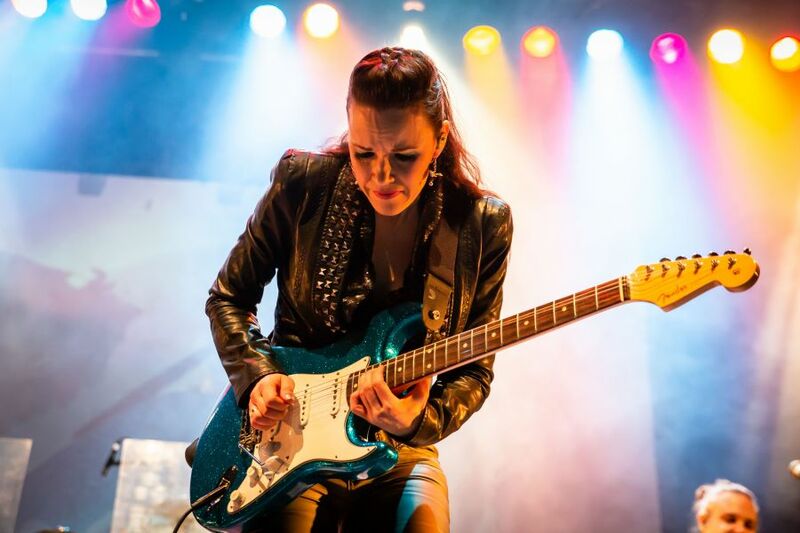 Following one of the standout performances of the 2017 edition of HRH Blues Erja Lyytinen will be back at the O2 Academy Sheffield for a UK exclusive festival date over the weekend of the 13th/14th April.